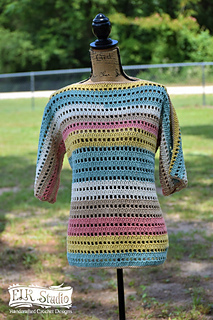 You’ll love the Open Canyon Tunic for a spring and summer garment. The Caron Cotton Cakes is a fun, slow color changing yarn that gives you the variety in color without having to weave in the ends. 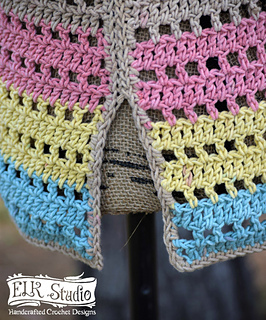 Join ELK Studio and the ELKies for this fun Crochet-Along. I’ll be there to help you along with so many others.